These puzzles could be solved by supersymmetry, a theory that provides a natural mechanism for protecting the Higgs mass and also has a dark matter candidate. Supersymmetry predicts the existence of “super-partner” particles that are heavier than their Standard Model counterparts. 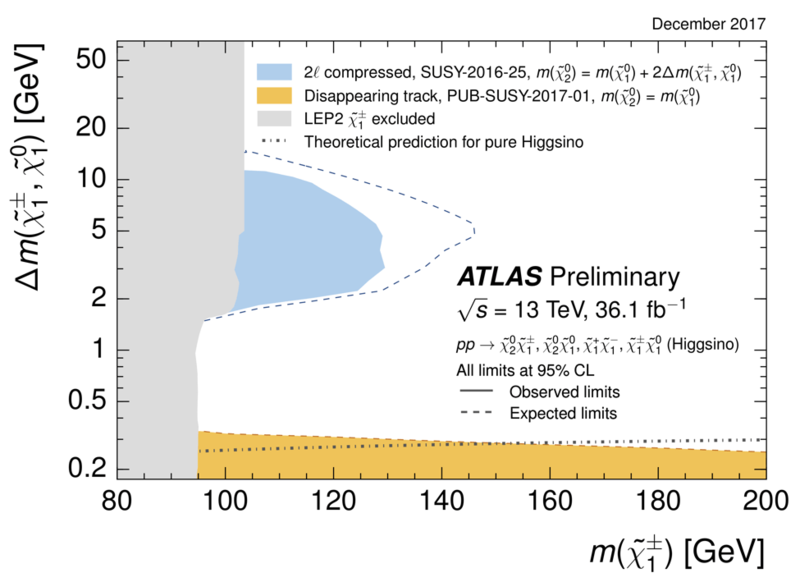 As long as the supersymmetric partners of the Higgs boson, called “higgsinos”, aren’t too heavy, then supersymmetry can explain a Higgs mass consistent with current observations. 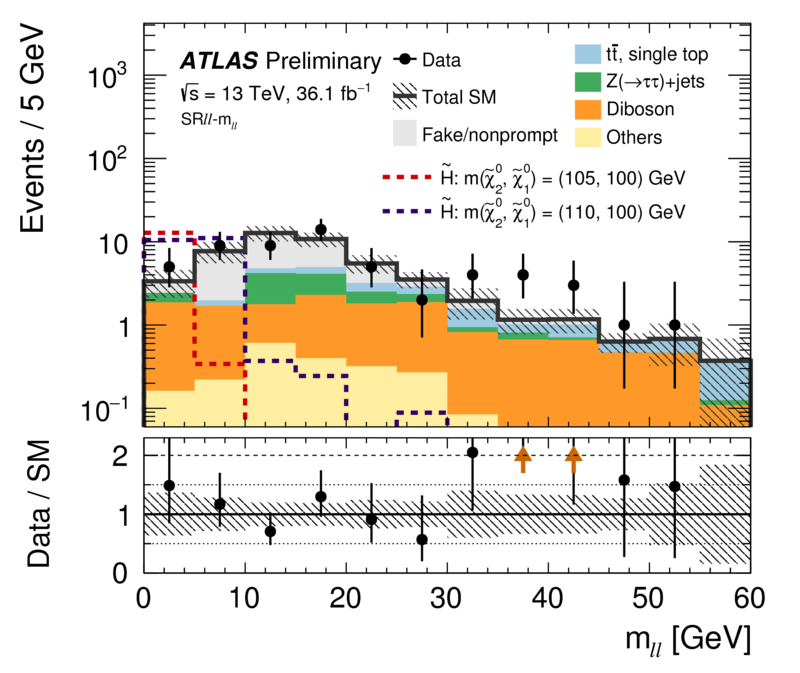 The lightest higgsino, the “LSP” (for “lightest supersymmetric particle”), would be a dark matter candidate, while heavier higgsinos decay to the LSP along with other particles like electrons or muons.